Yes. Yes, you have this glyph. On... your... main. I had delayed posting on my two character glyph operation because I wasn't satisfied with how little data I based my glyph performance research on. Now that I have all my sales data since February 2011 in a database, I can happily present... My Ultimate Glyph Performance List. The list is based on actual sales data rather than estimated sales data or just the average listed price on the auction house. I've already given the major disclaimer that it's MY performance list, meaning that it is limited to my server, and my posting schedule. There are always side effects when I dig into my sales data. Firstly, the bad news is that since MySales records the name of the item sold rather than the uinique identifier, I can't tell the difference between [Glyph of Death Coil] and [Glyph of Death Coil]. Doh! Secondly, there's a couple of glyphs I've never sold. Embarrasing? Sure. Here I am claiming to be a demon possessing glyph $@#%ing master... and I don't actually have full glyph coverage. The two glyphs in question are [Glyph of Frost Armor] which is learned via Northrend Inscription Research and [Glyph of Colossus Smash] which is learned via a Technique sold by a freakin' vendor in Twilight Highlands. So I can forgive myself the mage glyph. Why? Because it's a mage glyph... and overlooking an extra Northrend Inscription Research is understandable. But Colossus Smash? My main is a freakin' warrior, and knows the glyph... and uses the glyph, frequently. I mean, who wants to waste GCDs on sunder in a 10 man raid, amirite? So I have no idea how I managed to get excited about the glyph in the patch notes, managed to pick it up for my warrior and completely forget how I did that (as if I'd buy glyphs from the AH (right?)) and then continue to overlook it for so long. In any case, all is well and as of right now I have both of those glyphs up on the AH for anyone to purchase. For the data below, I have orded it by the number sold, highest to lowest. That itself doesn't tell you which are the best and least performing glyphs, but I want to emphasize volume because everyone else seems to be preoccupied with price. I like to churn out glyphs and I like to sell them. Given I purchase herbs, mill, create inks and craft glyphs in bulk, I'm more volume oriented that price oriented when I consider how I divide up my glyphs. If you look right down the bottom of the table, you can see even ordered by volume that there are a whole ton of trainer glyphs that have barely sold anything... in almost 18 months! The reason for that is that while my threshold for posting glyphs is probably reasonably low (go go volume!) I still have a threshold, and it's always above the cost of creating the glyphs in the first place. So at the very bottom of the list you get the choke points in leveling inscription where if you make glyphs you have to choose from one of those, so no matter which you choose, the AH is already flooded with them.... constantly. All in all, digging into my data to look at glyph performance was a rewarding exercise. I have two new glyphs to sell, and I can move on in the next post to describe how I have set up my two character glyph operation. ouch on missing those glyphs! but great work on the table. Am i right in thinking you go all the way down to crafting cost in pricing your glyphs (vs Croda over at marketsforgold who has a 40 gold threshold)? No, I don't go all the way down to my crafting cost, but I probably calculate my crafting cost a little different to some other glyphers. I keep reading a lot of talk about inferno ink being a painful byproduct of milling and people assuming that it's not worth anything in their calculation of how much blackfallow ink costs to make. I'm approaching 900k in Darkmoon Card sales since the expantion launched... so I don't quite see it that way. For me, inferno ink has a value, and I can have been able to get a return on that value far above selling it on the AH all expansion long. So my threshold has been as low as 12g for glyphs, but in practise I sell very few glyphs at around that price, unless it is to competitors buying me out to reset the market (at which point I've made a small profit on that glyph, and a massive one on the next). Thresholds will dramatically change come 5.0 though. At the moment I'm getting some cheap Whiptail in bulk that is going to be powering my stockpile for the expansion. So currently I'm accumlating inferno ink faster than is sensible to poor into cards. I'm undecided as to what to do with my inferno ink, but if we have another glyphmas for patch 5.0 I predict I can sell it off to monk and panda characters as they eventually level inscription through cataclysm level. The great thing about high demand is that I could probably no bother to change my threshold because the price of glyphs will be naturally higher... However, I'll definitely put my fallback a LOT higher. About Inferno Ink, I calculated the other day it was just about the same price to craft and DE Etched Horns as the price of Small Heavenly Shards. It may not always be true but in certain situations it might be a great way to burn Inferno Inks. That's an interesting idea, I've broken it down as per my experience. Firstly calculating the cost of a small heavenly shard, my thought process goes something like this. What is a small heavenly shard used for? What is the limiting factor on the price of heavenly shards? Since Maelstrom Crystals can be split into 2 Heavenly Shards, the production needs to be cheaper than I can get ½ a crystal from the AH (otherwise I might as well just grab them from the AH and save some time). So for me, I regularly buy Maelstrom Crystals at around 140g, so lets say the benchmark is 70g. A Scavenged Dragon Horn costs 17.04g (but only 13.63g at exalted), and to get the 3 I need (I'm not counting bountiful bags procs) for a Heavenly Shard it costs 40.89g. That leaves 29.11g to cover the value of Inferno Ink. So with 12 Inferno Ink in the 3 horns, their value (in my opinion, according to my calculations for my server) can be rounded up to 2g45s. At that price for my server, I'm happy to burn through them to get the initial points for leveling inscription, or just hang onto them for resale later on. I'm glad I went out to the vendor though, because it is a much better deal if you're buying them at exalted reputation. I love the breakdown. I have been attempting something similar by tracking my sales, but I don't have the same volumes that you do. Please tell me, how are you tracking and storing the data. You mention Mysales, are you exporting from this addon? Do you have this in a database or a spreadsheet. I initailly had the same problem that you did indexing by name and then seeing Death Coil sales as the same. I recently changed over my table to use the Glyph item id as a unique field. 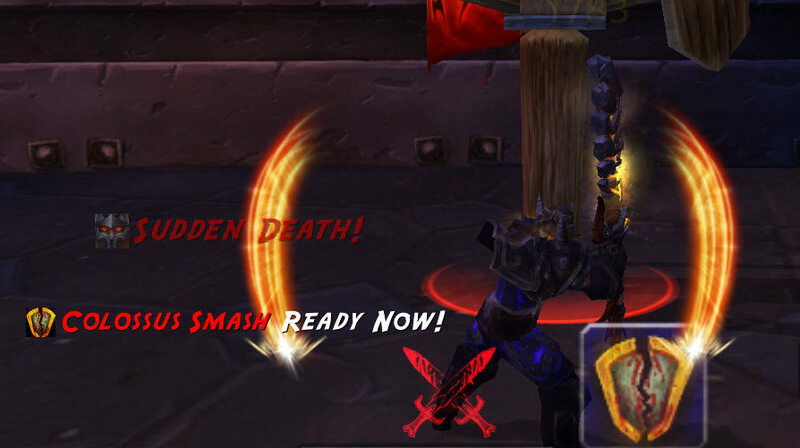 With the changes coming in MoP, it makes it much easier to track the modified glyphs this way. I use mysales, and then export the data from that into a mysql database. I've talked a little bit about it in other posts, and will do again when I post some more data. A item of sales data is unique in my database based on all of itemID, number sold, datetime sold. The issue with Glyph of Death Coil isn't the database, but rather that the mysales addon only gives me the name of the items sold. There is then no way to determine which itemID is correct. I had fun with a ton of old items getting them into the database... like PvP gear that is the same item, but the name has changed as it gets upgraded each patch. Glyphs that have changed names was also fun, but it is simple enough to track the changes over time from sites like wowhead and wowpedia. A possible solution is to change where I'm pulling the data from, and the obvious candidate is TSM accounting, but I haven't looked at that ... yet. Great post! I love it when bloggers add they're on twist @ things.